Image: Michael Loccisano/Getty Images for DirecTV, Greg Doherty/WireImage/Getty Images. Julian and Kraus first caught the internet’s attention when they were spotted at a Miami Heat basketball game together earlier in the month. At the time, a source suggested to E! News that there was definitely a connection between the Bachelor Nation stars despite there being little to no evidence of a connection on social media. “Peter and Bibiana have been friends for a while now through the Bachelor franchise, but most recently started hanging out alone. There is definitely a romantic connection there and they are casually dating,” the source said. 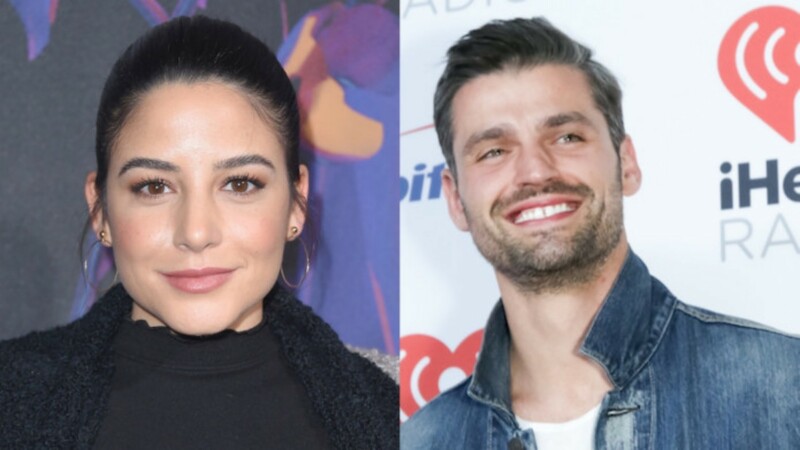 Speculation only intensified a few weeks ago when podcast cohost Ashley Iaconetti directly asked about the relationship status, and Julian replied, “I wouldn’t say it was something serious.” Little did she know at the time, Bachelor Nation would take those words and run with them. So, Julian kicked off the week by explaining the situation to Iaconetti and Ben Higgins via the podcast. Apparently, the pair hit it off after she finished filming the most recent season of Bachelor in Paradise, and the two decided to remain friends. That basketball game? Totally platonic. “I guess Bachelor fans caught a glimpse of it, and it just exploded into something that, you know — one thing led to another,” Julian said. Don’t feel bad for Julian, though, who’s been famously unlucky in love. When Higgins pressed about any sort of romantic plans, she teased a possible boyfriend behind the scenes. Julian, a season 22 Bachelor contestant, went on to appear on Bachelor in Paradise. Unfortunately, she always seems to fall into the friend zone. Still, her funny one-liners and commentary have secured her status as a fan favorite from the franchise. Kraus came into a cult following when he competed for the heart of bachelorette Rachel Lindsay. When she ultimately chose Bryan Abasalo, fans were perhaps even more heartbroken for Krause than he was for himself. Kraus has yet to comment on any sort of connection between the two.